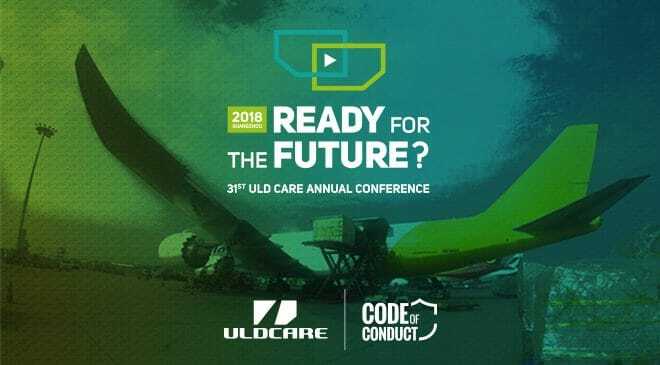 This year’s ULD CARE conference convened in Guangzhou, our third conference in China, with registrations of 124 delegates of which 48 represented 30 airlines. 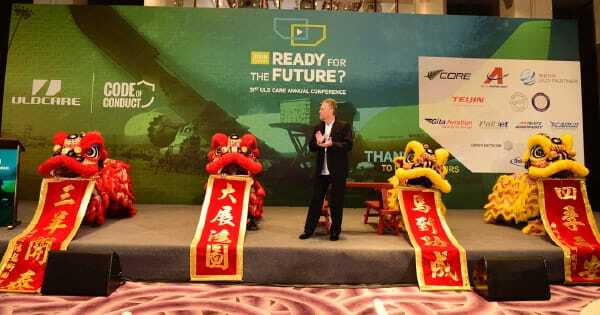 After the traditional pre-conference opening reception, the event kicked off on 9th morning with a lion dance, at which Urs performed the duty of “dotting” the lion’s eyes to bring them to life. 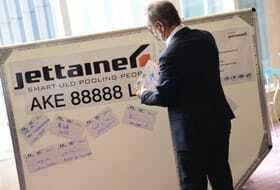 Then it was down to business for a busy 2 ½ days of presentations, panels and break out groups. Following a comprehensive presentation of ULD CARE’s achievements over the past 12 months and panel comprising the ULD CARE directors we moved on to this year’s theme of “Ready for the Future, new solutions for old problems”, well supported by a series of presentations followed by a panel on the first afternoon, with BLE and Blockchain in the spotlight. There seems to be very considerable opportunity for these two technologies, working independently or together to bring ULD management into the 21st century, a long overdue need. It appears that BLE may well prove itself to be the solution that RFID never delivered, while the opportunities arising from Blockchain and smart phone app’s may well enable a total overhaul of the ULD CARE IULDUG system, particularly assisting the industry to better manage the issue of slow return of empty ULD from forwarders, an issue that from anecdotal evidence seems to be around 5% of a typical airline ULD fleet. While technology was certainly front and centre, another major feature was the ULD CARE Code of Conduct container. Overcoming some logistics challenges the conference exhibited a full-size AKE with the purpose of collecting Code of Conduct sign up’s from all the delegates, a mission that was indeed achieved. This AKE has now gone to Shanghai for final assembly and will then be moved, courtesy of Jettainer, to Frankfurt where it will start a global journey publicising the Code of Conduct as it goes. Watch the ULD CARE web site for more news on this particular AKE. Strap Angle App. Now available for IPhones at the APP store this easy to use app enables fast and easy checking of the vertical and horizontal angles of any installed strap, an essential component of the correct restraint of all cargo using straps as primary restraint. On show at this time is V1.0, with a number of enhancements including an Android version in the works. Wind speed calculator. Today’s lightweight containers, when empty, are susceptible to being blown over by winds at considerably lower speeds than the limits for opening the aircraft doors. This easy to use on line calculator enables the user to select the container type, enter the tare weight and see the wind speed in kph and knots at which the unit will start to tip. Inspect a container in 60 seconds. Following the successful “Build a pallet in 60 seconds” Airport College and ULD CARE along with Finnair have teamed to create a similar 60 second video for inspecting a container. This was previewed at the conference and will soon be fully released after a few small edits are completed, followed shortly afterwards by a similar 60 seconds’ video on checking pallets, nets and straps. Given the difficulty the air cargo industry has with checking ULD for serviceability before use, any message that promotes this essential practise is most welcome. ULD CARE will be promoting the widespread use of this useful “solution”. One of the significant innovations at this year’s conference was to provide many of our supplier members with table top exhibition space. While this year was an experiment, the feedback was very positive and we do hope to make this a permanent feature of the annual conference. 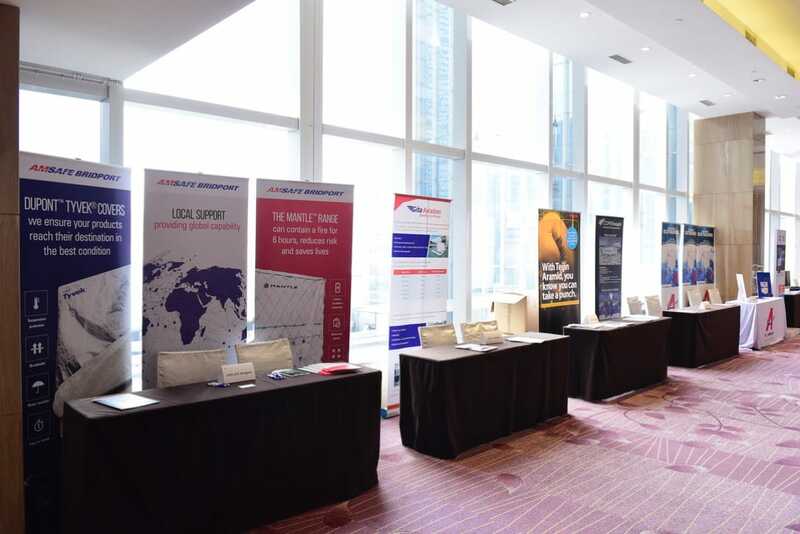 The ULD CARE conference is not a trade show but we do appreciate that both our airline and supplier members value the opportunity to network and the table top exhibits certainly enhances that opportunity. All delegates were provided with a branded baseball cap, and gathered on the main stage for a photo op. Directors dressed in branded polo shirts, enabling easy identification. (not in picture: Joseph Jensen DL & Chris NotterSV). Embark on a complete overhaul and upgrade of the ULD CARE IULDUG interlining system, taking it to the next level and making it applicable to all ULD transfers and not just airline to airline transfers. 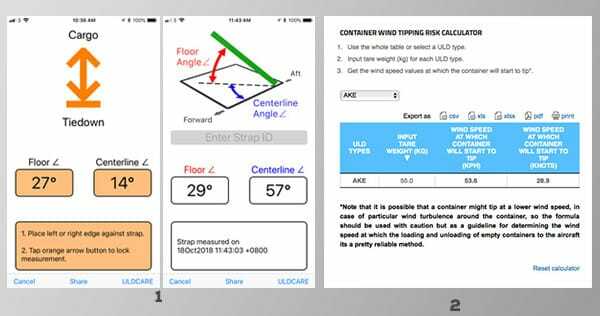 Furthermore, as we have shown with the development of the “strap angle” app and the wind speed calculator ULD CARE will support the developments of tools and solutions that will assist the industry move ahead, and we are always ready to hear suggestions from our members who, from the “trenches” of ULD operations are best placed to make suggestions. Issuing press releases. Carl, our communications consultant has developed a communications strategy for ULD CARE and during the conference issued daily news releases. These were picked up by a wide range of trade publications and also have led to requests for some in depth articles. 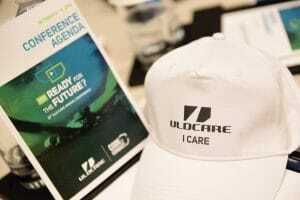 ULD CARE intends to continue testing out new ideas at each conference. With the 2018 ULD CARE annual conference behind us the board of ULD CARE is already turning our attention to both dates and locations for 2019. As is our tradition we will now move to “The America’s” and the current likely candidate cities are Montreal, Chicago, Atlanta and Toronto with dates in late September. A survey will be sent to all our members in the coming weeks to check out their preferences, with an announcement before year end. A big thank you from Urs and Bob to all our sponsors, contributors and delegates, Carl Mavromichalis who not only handled our communications but also did a great job as moderator of a number of panels, and of course our conference coordinator Danielle Viau for pulling it all together in spite of all the last-minute changes. For those of our members who did not manage to attend for any reason we do hope to see you next year and for those who made it this year we hope very much to see you again next year.